Well, if you moved the other way, you couldn't recollect that because you would be erasing that memory. Unless you try to move back in time while time still moves forward in your mind. We may move back in time the same way we came here and have no idea about it. If sometime in the future I was to invent time travel the first thing Id do is go back in time and give the knowledge to myself at an earlier age. The fact that that hasnt happened leads me to believe that we never do discover time travel. Time travel at macro level is not possible. In theory, it may be true at quantum level, but practically not. Look at the sky, you are looking back in time! (Cont.) because just as there are conservation laws in physics we might find another for Time. Or perhaps TT to the past to alter it might just create another timeline so as not to affect the original. A lot of if's and but's there but the QM aspects might be able to show us if it possible and perhaps the v of c is not so important in this context. I guess in summary I'm saying that Time must have other dimensions if we want TT. Now I wait for the 'down votes' Ha! Change is movement in three dimensional space and time time is information about the order of change. The only dimension that time has is informational not physical. Too many questions arise about what it means to go back in time. The primary question is does the agent moving backward in time have its changes that occured to it while moving forward in time reverse too. If the agent loses the changes it had when it moved back in time then the idea is meaningless but if the agent doesn't lose the changes that has occured to it when it moved back in time then time would moved in two different directions at the same time which is senseless. Change is movement in three dimensional space and time time is information about the order of change.... The primary question is does the agent moving backward in time have its changes that occured to it while moving forward in time reverse too. If the agent loses the changes it had when it moved back in time then the idea is meaningless but if the agent doesn't lose the changes that has occured to it when it moved... time which is senseless. Yes change occurs in 3D, or commonly, everywhere. So if time is the information about the order then the 'arrow of time' is 3D also. How is that info structured? You might turn it around and say that 3D change tells 'time' in which direction it wants to move. Do we then have a situation similar to that of mass & space (GR)? The 'agent'...here you are still treating 'time' in the commonly known sense and as basically mentioned, it is that which does not allow for TT and it is that current definition that makes TT senseless. You are all assuming that time actually exists. Your life is nothing more than a series of chemical cycles and reactions , one after the other. Each reaction looks like it takes time but on the infinitensily small, it may take no time at all. Just like a grandfathers clock, the pendulum is just a series of bumps and grinds, one after the other that doesn't measure time but does measure the force of gravity. And so it is for the rest of the universe, just one event that triggers another. As humans, we are so ingrained with time that it is so easy for us to assume that time is a real thing. We probably don't even have an instrument that measures time directly. Atomic clocks of various designs only count vibrations of atoms which in turn are only events that are triggered by other events. I challenge you to show me something that measures time directly. I think I already said as much in my first comment. "One candidate, string theory (more precisely M-theory) may offer up another possibility." Apparently the author traveled under a rock forward in time for 25 years with his cohort of string theory dinosaurs, repeating old and tired "11 dimensions will explain everything any day now" prayer. 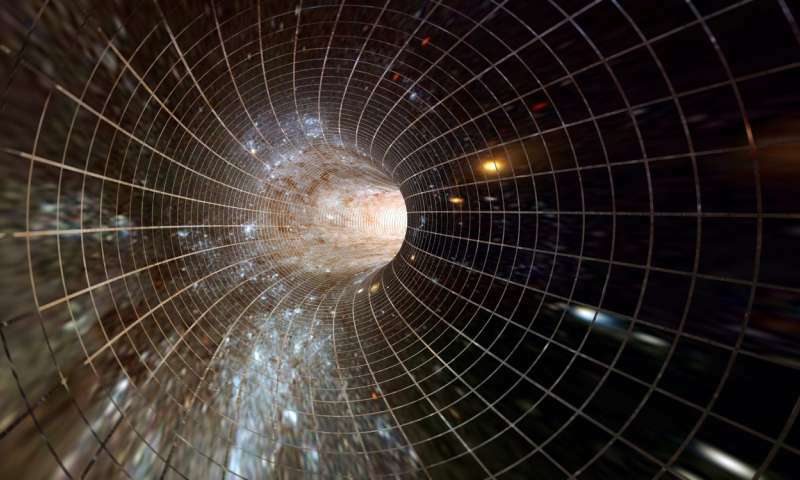 Puzzling evidence has been reported for information time travel via precognitive dreams, some of which originates from scientists and engineers. John Dunne's "An Experiment with Time" was one early book published in 1927, or more recently with a 2018 book called "The Oneironauts" by astronomer Paul Kalas. Of course a physical mechanism (explanation) continues to be elusive, but then again, repeatable experiments involving quantum mechanics struggle to fully explain the role of the observer and consciousness. Think you've got the wrong forum. We are not discussing what the mind is or is not capable of doing. The mainstream scientific community is not yet ready to examine intangibles such as Mind, Conscious etc. Maybe IF human beings evolve to a state where the mind can manipulate external forces then we could talk about same. Till then it remains in the realm of science fiction.